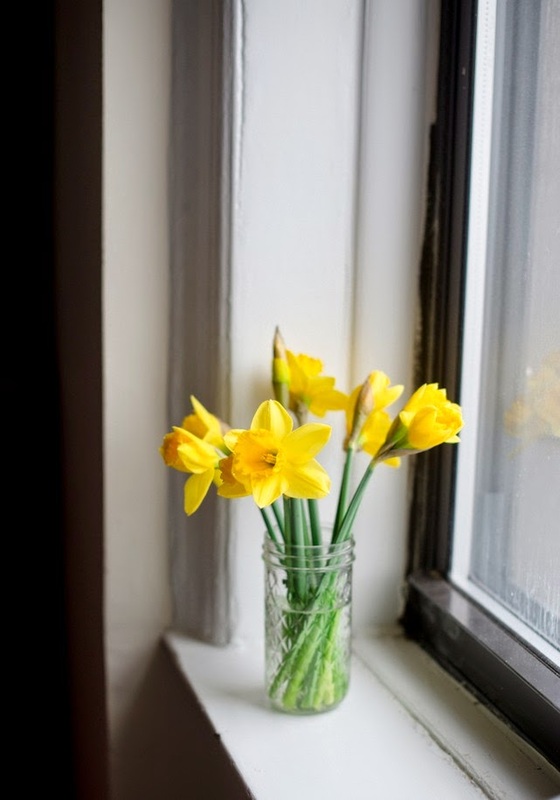 Daffodils symbolize the first whispered breaths of spring: they represent hopefulness, joy, new beginnings, warmth, sunshine, rebirth. 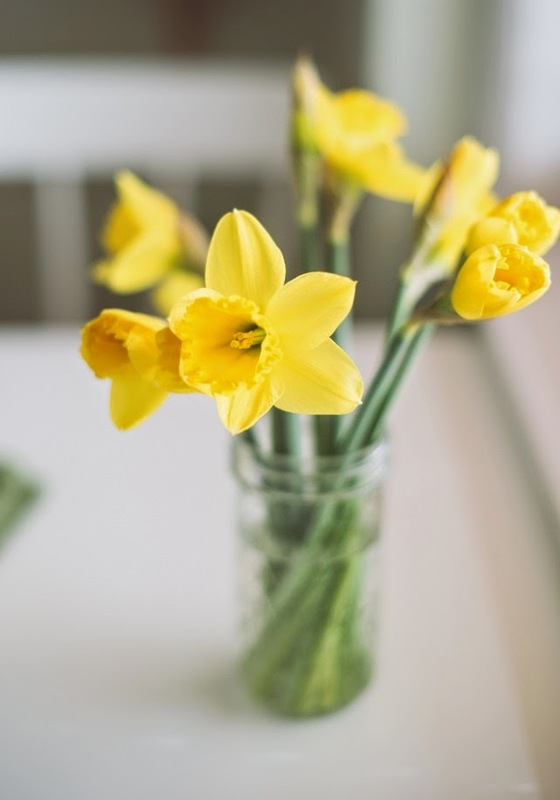 Do you know that in ancient herbalism and medicine, the scent of a daffodil was used as an intoxicant? For the over-thinkers, or the anxious, breathing in the scent significantly relaxes and calms the mind. No wonder I can't stop placing little glass jars in every room.